It was just me and the puppies this weekend. It’s not that I mind being alone, but on Friday I knew I faced the Perfect Boredom Storm if I didn’t have a strategy. Two things were converging Friday morning: I had no plans or deadlines; and although the ice and snow sheets in my backyard are melting like Arctic glaciers, it’s still *expletive* winter and I couldn’t spend copious amounts of time outside. Thankfully, the Perfect Boredom Storm didn’t have a chance to form. I had lunch with Fabulous Friend Pam who brought me a VitaTop to try (I was a Vita Anything virgin) and invited me to a book signing Saturday in Pittsburgh. Getting out of town was exactly what I needed to do. Saturday was a great day of books and friendship and lunch and Whole Foods and g-baby Claire (Luca was sleeping) and a new appreciation for the longer days and the spectacular sun on the drive home. 4. I really (emphasis on really) like deep-chocolate VitaTops. “Heat it up,” was Pam’s instruction when she tossed the plastic wrapped chocolate chunk on the table before lunch. Today, I heated it up and threw a ¼ cup of Breyer’s fat-free double-churned strawberry ice cream on top. Oh my. I enjoyed it very much (emphasis on very). Maybe too much. I’ve concluded that, like Thin Mint Girl Scout Cookies, Vita stuff cannot occupy space in my freezer. I’ll store them at my daughter’s house 60 miles away and portion them out top by top, muffin by muffin, under her supervision. Potential boredom turned into a contented happy this weekend. The only almost sad thing to happen was that I almost hit a robin while driving to Pittsburgh. Luckily he cleared my windshield before I crossed his path traveling 70 miles an hour. I’m sure killing a robin would bring on six more weeks of winter. The purple finches are back at my backyard feeders, it will be almost 50 degrees tomorrow, and Helen Mirren is absolutely gorgeous at 65 (I’m watching the Oscars as I type). It was a good weekend. This entry was posted in Uncategorized on March 8, 2010 by Lynn Haraldson. You just can't go wrong with the friend-book combo! So glad you had a lovely weekend! 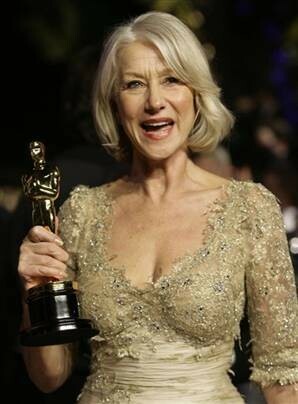 Oh yes, Helen Mirren is gorgeous. And the reminder that the Oscars are on–one of the few times I would like a television! I love watching all the gorgeous clothing. And your #1 on the list was so so funny to me–the exact same thing happened to me last week when I let Sophie have the end of Noah's rawhide. Yuck. And I love the Vita tops too. But don't have them around any more. Same reason. Glad you had such a good weekend! I've never tried Vita Tops, but think that I would like them about as much as you did…and that's why I don't want to know just how good they really are quite yet! Never been to a Whole Foods – your description of the vehicles circling for a parking place is ironic! Nice of ya to leave that lady some noodles – I am that way about my Fage when I find it…clear the shelves! Sounds like one terrific weekend! Spring is coming, the sun shining, the chirping birds…I couldn't be happier! The Shirataki Noodles sound and look interesting, I will look for them today. I heard last week at a WW meeting that Mousse Temptations Dark Chocolate By Jell-Othe is one decadent treat so I have that on my 'to try' list too. a freezer 60 miles away sounds just about right for something that is 'too good'. hopefully you will not be looking around for something else to feed that 'want' at home. . .
Helen M does look absolutely wonderful! I told you that those Vita Tops are addictive. Heated up with fat free ice cream (which is what I did) created HUGE issues for me! I had to ban them from my house because I was eating them way too quickly. Glad you had a nice weekend. It is always nice to get away. I came across you blog on one of the blogs that I follow and I was very motivated by your weight loss. I would like to follow you blog if you do not mind and it sounds like you had a great weekend. It sounds like you really enjoyed your weekend. I always find that no matter how tired I am, I really do feel much more empowered and energised for having gotten up off the couch and spent my day doing fun activities! They just started carrying vitatops at Wal-Mart. They are all so good; I really like the corn muffin ones with sugar free strawberry spread.